Set of 10 Eggs. Made in Ukraine. Assorted colors and folk designs. SIZE of the egg: 2 5/8" x 2" . The egg is an ancient symbol of new life and rebirth spanning many religions and cultures. To the ancients the egg embodied great power to bring new life and joy. 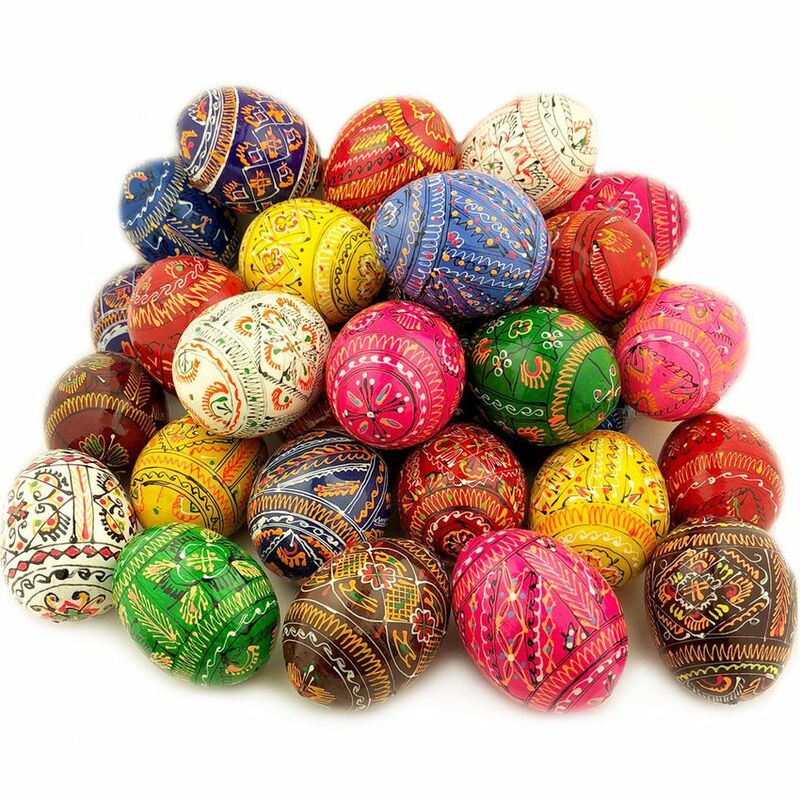 The Ukrainian people in pagan times decorated eggs to commemorate their Slavic gods and to celebrate the sun's arrival at the coming of spring. The Christian Church adopted the egg as a symbol of Christ's Resurrection. St. Augustine first described Christ's Resurrection from the dead as a chick bursting from an egg. This symbolism was enhanced in the Christian East's celebration of Pascha (Easter). At the end of the Pascha Liturgy, the faithful exchange three kisses on alternating cheeks with the greeting "Christ is Risen" to which is replied "Indeed He Is Risen." The priest presents each with a "red" egg. Wooden Pysanky Egg on Stand, Red, 3 1/2"